This topic contains 3 replies, has 2 voices, and was last updated by Paul 11 months ago. how I achieve the same design in fullscreen mode as in your Galleries Showcase (lightbox). Right now galleries are shown by jetpack, but its design is different, it has comment filed etc. The galleries that you see here are generated by the theme (not by any third-party plugin like Jetpack). 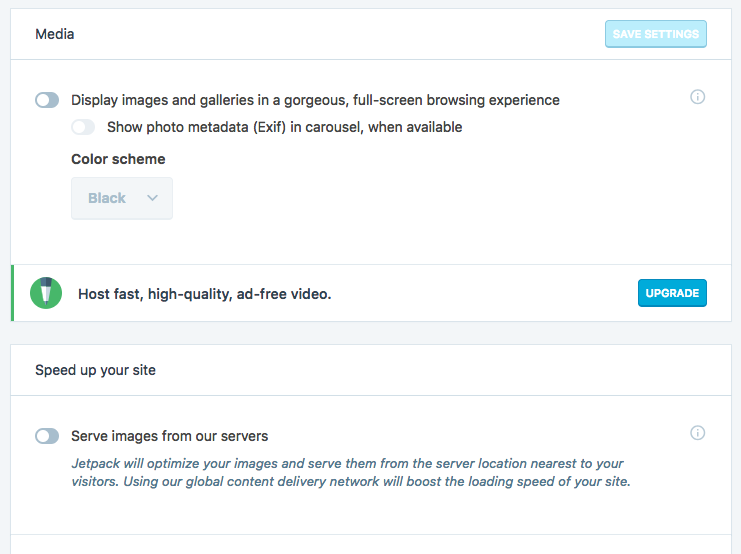 To switch to these theme-generated galleries please go to your Admin Panel -> Jetpack -> Settings and disable “Display images and galleries in a gorgeous…” (see screenshot). I also recommend to disable “Serve images from our servers” as using this option often reduces picture quality. sorry, my bad! I previously commented out //add_filter(‘post_gallery’, ‘mauer_gallery’, 10, 2); and that’s why it wasn’t working. Jetpack was an overriding gallery.